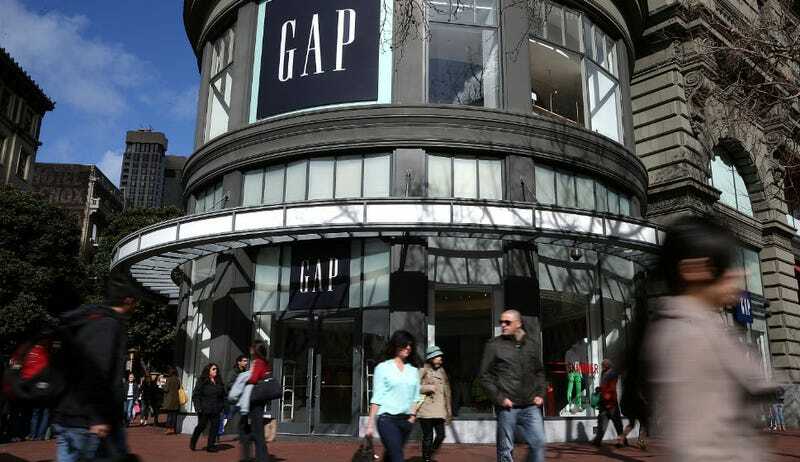 The Gap announced plans to raise its hourly minimum wage to $10, a move that is expected to impact more than 65,000 of its employees. In a release, the company argues that increasing the minimum wage will help retain "attract and retain great talent" and improve customers' experience. While many retailers claim that they cannot afford to pay the minimum wage without firing employees or raising prices, research shows that companies paying low wages stand to benefit from the huge stimulus a wage hike would bring to poor workers who spend most of their income on basic needs like food and clothing. Even Walmart, one of the most notoriously low-paying companies, announced Wednesday it would consider supporting a minimum wage hike, acknowledging that it would generate extra pocket money for Walmart's typically low-income customers. Additionally, employees tend to work harder and stay at their company longer after their wages increase. "To us, this is not a political issue," GAP Chairman and CEO Glenn Murphy said. "Our decision to invest in frontline employees will directly support our business, and is one that we expect to deliver a return many times over." The move follows a report from the Congressional Budget Office on Tuesday that suggested raising the minimum wage in the U.S. could raise at least one million people out of poverty. Paying American employees a higher wage is a good first step for GAP, but the company still has a long way to go to align its social responsibility mission with its actual labor practices — particularly for its foreign workers. The company has refused to sign on to a legally binding plan to improve contracted Bangladeshi garment factories after multiple deadly disasters, instead offering a watered down, self-regulated plan. Its lax auditing of its supply chain also led to revelations in 2007 that GAP was inadvertently subcontracting child labor in India.